Uncategorized | Fosters1537 and Yellow Crown's Club Penguin Guide! Two months ago, it was announced that Club Penguin will be shutting down on March 29. That day has come and just a few hours ago the team pulled the plug supporting our favorite multiplayer virtual world game. Fosters1537 and I might have had quit updating this blog long before the game shut down but we’ve updated this blog with all the cheats and news since Club Penguin’s early days in Summer 2007. We have since reported when Rockhopper first decked on shore, Jetpack Adventure’s launch, the rise and fall of EPF, a concept art of Aquagrabber before its initial launch, accurately predicting the presence of a polar bear on the island and not to forget all the new pins, puffles, hidden items in catalogues, coin codes, games, rooms, merch, console games, songs, missions, giveaways, parties and many more. PenguinVille was never widely popular but it had an important presence within the Club Penguin community. It was the first to host Easter Egg hunts, translations to different languages, PowerPoint games, YouTube walkthrough of Elite Penguin Force Nintendo DS game, and Club Penguin’s very own search engine as featured by popular blogs like Club Penguin Memories. We also worked hard together through the years to provide guides (or ‘cheats’ as we might have called them 🙂 ) like game tips, free items, console game walkthroughs, stamp guides, coin codes, and a still incomplete archive of Club Penguin’s history. 10 years ago I had started out with my own blog which is now a mess, then moved on to another one which is also a mess until Spencer (Fosters1537) kindly offered me to help out on this blog. We became good friends since then and sent a lot of emails to each other coming up with exciting plans for the blog. Meanwhile we had made new friends also with their own cheat blogs namely PerPear, Mixturey101 and Legoless and others of which I’m still in contact with to this day. I have lot of good memories I will forever cherish on this blog. Like staying up till late waiting for the weekly game updates to come, update this blog and then get kind comments from the community! Almost a decade later though, our interest died out and after some years so did the game itself. Today PenguinVille with almost 300,00 views and over 1,000 posts bids farewell to Club Penguin. Yet its purpose is not gone. Instead, it has changed. 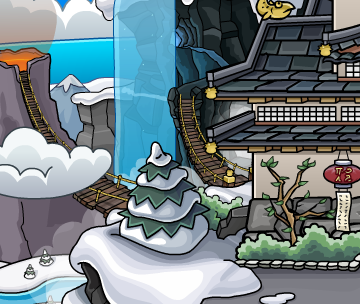 Once a place on the Internet where thousands of fans of Club Penguin meet and help each other take most of the game now becomes a place of nostalgia with memories from the now defunct game that fans can come look back to any time. With great pleasure I am glad to say that Spencer and I are going well. We are both reading a degree in Computer Science at different universities and still wish that despite our long distance between us we someday get to meet each other in real life. We both owe it to Club Penguin for boosting our interest in games and computers at a young age and eventually chose our career path to be in IT. I would like to give a huge, huge thanks to the Club Penguin team for their hard work and dedication all these years. I also congratulate them and wish best of luck on their new journey, Club Penguin Island. Take this as one last Club Penguin cheat: go and download the new app on the Apple App Store or Google Play Store. They have done an incredible job at recapturing the magic of the virtual world we once loved while modernizing it for Club Penguin fans of the next generation. Last and certainly not least: you. I would like to thank each and every visitor of PenguinVille for giving it a purpose by reading, following, commenting and liking our cheats. It has been a great honor to serve such an incredibly kind and talented community. Club Penguin Monsters University Party Trailer! With the Monsters University Kickoff Party coming up on the 27th, an official trailer has been revealed. Take a look below. Monsters University hits theaters June 21st. Keep it here for more Club Penguin news! 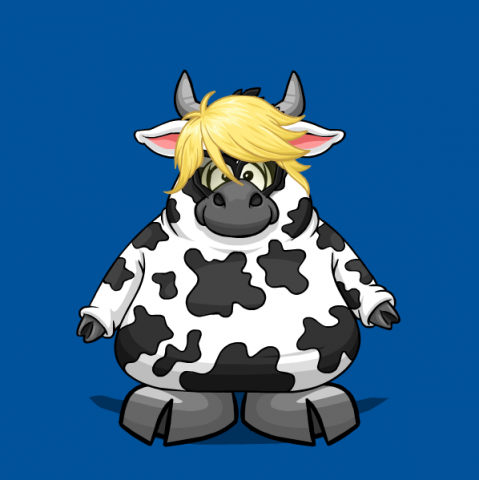 Daffodaily5 wrote a new post on the Club Penguin blog with Today’s Penguin… and the Penguin of the day is Timmy728 ! Remember you can always nominate a penguin for Penguin of the Day by sending an email to support@clubpenguin.com. Take Our Club Penguin Monsters University Poll! With the Monsters University party kicking off June 27th, and the new movie “Monsters University” hitting theaters June 21st, we thought we would get your opinion on the upcoming party? Are you excited for it? Leave your vote in the poll below! Also, if anybody hasn’t seen the picture teaser for the new party, there is a picture of it below. Keep checking back to Fosters1537.wordpress.com for the latest news on the Monster’s University party! Club Penguin Monsters University Party Teased! Before you log into Club Penguin, you’ll notice a Monsters University promotion on the front page. Check out the picture below. This party is called the “Monsters University Takeover Party”. The party will begin on June 27th. The Disney/Pixar film “Monsters University” opens in theaters everywhere June 21st. Keep it here for more Club Penguin cheats and updates! Club Penguin Snow Shuriken Pin Location! The new pin for Club Penguin is located at the Ski Village. Go to the right corner and pick it up! Stay tuned for more Club Penguin news! Some big events coming up soon! Big news today on Club Penguin! 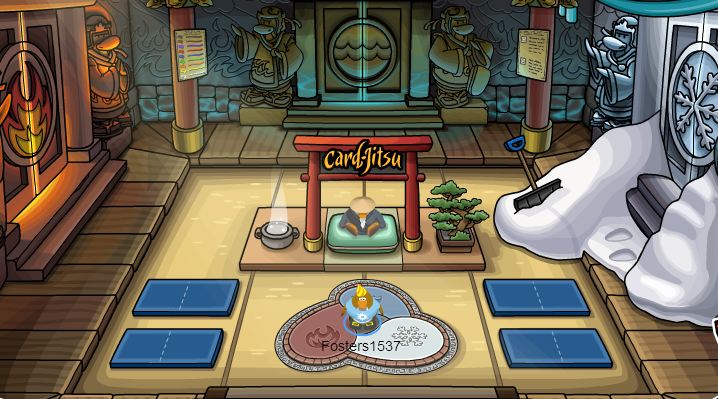 When you go outside of the Dojo, you’ll notice the Ninja Hideout is gone! All the Ninja related stuff has now been moved into the Dojo. Me and Yellow Crown are back for more Club Penguin blogging! Thank you for everyone who visited this site while we weren’t blogging. We will now be providing you with the best Club Penguin news once again. We are also planning a big revival for this blog with lots of new cheats and content! New Club Penguin Camera Pin! It’s been 2 weeks since last pin, and so it’s time for a new pin. This is the third pin of 2012. The pin is the Camera pin and is at the Dock. Quite matches with the Underwater Expedition divers’ outfits right? Go check out the Gift Shop now as it is all decorated for the Fashion Show… With an all new Penguin Style clothing catalog too!